Jalaram (Gujarati: ??????) popularly known as Jalaram Bapa (Gujarati: ?????? ????) (4 November 1799 23 February 1881) was a Hindu saint from Gujarat, India. He was born on 4 November 1799, one week after the Hindu festival of Diwali, which is associated with his I? ?a-devata Lord Rama. 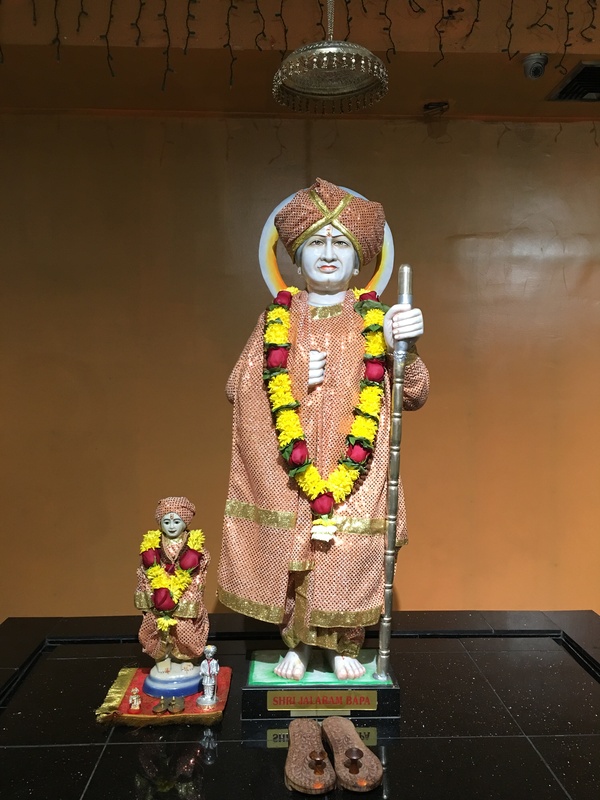 Jalaram Bapa An idol of Jalaram Bapa decorated in colourful dress on eve of Jalaram Jayanti celebrations at a temple in Gujarat Born 4 November 1799 VS 1856 Virpur, Virpur-Kherdi StateDied 23 February 1881 (aged 81) VS 1937. Virpur, Virpur State, British IndiaSpouse(s) Virbai Thakkar Children Jamnaben Parents Pradhan Thakkar, Rajbai Thakkar Life Jalaram Bapa was born in Virpur, Rajkot district, Gujarat, India in 1799, on the seventh day of the Kartika month. His father was Pradhan Thakkar and his mother was Rajbai Thakkar who belonged to Thakkar clan, which is a sub-group of Lohana clan. He was a devotee of the Hindu god Rama. Jalaram Bapa was however not willing to live an householder’s life and continued to take care of his fathers business. He was mostly engaged in serving pilgrims, sadhus and saints. He separated himself from his father’s business and his uncle Valjibhai asked Jalaram Bapa and his wife Virbai to stay in his house. At the age of sixteen, in 1816, Jalaram married Virbai, the daughter of Pragjibhai Thakkar (Somaiya) of Atkot. However, he was inclined to completely withdraw from materialistic life and become an ascetic, Virbai proved to be an asset to him in his works of feeding poor and needy. At the age of 18, soon after returning from pilgrimage to Hindu holy places, Jalaram Bapa became the disciple of Bhoja Bhagat of Fatehpur, who accepted him as his disciple. Jalaram was given the “Guru Mantra” (mantra) and japa mala in the name of Rama by his Guru Bhojalram. With blessings of his guru, he started “Sadavrat”, a feeding center, a place where all sadhus and saints as well as the needy could have food any time. 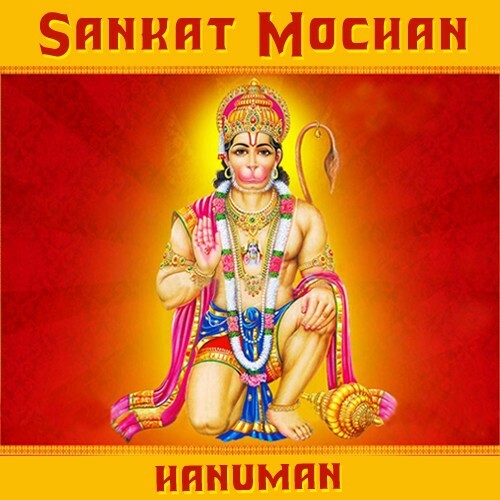 One day, a sadhu who came to his house gave him a deity of Lord Rama, forecasting that Hanuman, the monkey-god and devotee of Rama, would follow soon. Jalaram Bapa installed Rama as his family deity and after a few days, a deity of Hanuman appeared out of earth, on its own. The deity of Rama’s consort Sita and his brother Lakshmana also appeared. Due to a miracle the container in the house of Jalaram, where grains were stored, became inexhaustible. Later other devotees and village folk joined him in his works of human welfare. Soon his fame spread as an divine incarnation. Whoever came to Virpur, whether Hindu or Muslim irrespective of caste, creed and religion were fed by Jalaram. This tradition of feeding people continues to this day in Virpur. Once a tailor named Haraji, who was suffering from severe stomach-ache came to him to get himself cured. Jalaram Bapa prayed to God and Haraji was cured. He fell at Jalaram Bapa ‘s feet and addressed him as Bapa. Since then he was known as Jalaram Bapa. Soon his fame spread and people came to him to get rid of diseases and problems. Jalaram Bapa would pray for them in the name of Rama and miracles happened. Both Hindus and Muslims became his disciples. In 1822, Jamal, son of a rich Muslim merchant fell ill and doctors gave up all hope. At that point of time, Haraji, told Jamal of his experience (parcha). Jamal, prayed from his house, that if his son is cured of the disease, he would give 40 maunds of grain to Jalaram Bapa for sadavrat. His son recovered and Jamal visited house of Jalaram Bapa with cart load of grains and called him Jalla so Allah!!. At one time, God in the guise of an old saint told Jalaram to send Virbai to serve him. Jalaram consulted her and with her consent sent her with the saint. But after walking some miles and reaching a nearby forest, the saint asked Virbai to wait for him. She waited but saint did not return. Instead, she heard an Akashwani stating that it was only to test the hospitality of the couple. Before the saint disappeared, he left a Danda [staff] and Jholi[Cloth bag], with Virbai. Virbai returned home to Jalaram, as instructed by the celestial voice with Danda & Jholi. This Danda and Jholi are still at Virpur and kept on display in a glass enclosure. Family Jalaram Bapa and Virbai had a daughter named Jamnaben from their marriage. Jamnaben’s grandson Harirambahi was adopted by Shri Jalaram Bapa and his direct descendant, Giridhar Bapa and now his son Raghuram Bapa now head the gadi of revered Virpur shrine of Jalaram Bapa. Virpur It is the birthplace of Shree Jalaram Bapa.The main shrine of Jalaram Bapa is located at Virpur. The shrine is actually the house complex where Jalaram lived during his lifetime. The shrine houses the belongings of Jalaram and the deities of Rama, Sita, Lakshamana and Hanuman worshipped by him. It also has on display the Jholi and Danda said to be given by God. But the main attraction is the portrait of Jalaram Bapa. There is also an actual black and white photo of Jalaram Bapa, taken one year before his death. The temple is one of a kind in the world in a way that it has not been accepting any offerings since 9 February 1978. Parchas In modern time, devotees of Jalaram have experienced that if they pray to the saint sincerely, he blesses them and fulfills their wishes. These experiences are known as Parchas. They pray to Jalaram Bapa and if their wish is fulfilled they do fast and visit a temple on Thursday Today there are large followers of Jalaram Bapa, who worship him like a God, similar in line of Sai Baba of Shirdi. Jalaram Jayanti Jalaram Bapa’s birthday is celebrated on 7th day Shukla paksha of the Hindu month of Kartika as Jalaram Jayanti. It falls on seventh day from Diwali. On this day, devotees are served meal as prasad. There is a huge fair and festival at Virpur on the occasion and millions of devotees visit Virpur, on this day to pay their respect to the saint and have prasad of chiefly of khichdi with Bundi and popular farsan item Ganthiya The Jalaram Jayanti celebrations are also held at all Jalaram temples spread throughout India & abroad with festivities, where devotees participate to pay their respects and have prasad. Temples The idol of Jalaram Bapa is shown as a smiling man holding danda and wearing often a white paghadi and white dhoti-kurta. The deities of his patron deities Rama, Sita, Lakshmana and Hanuman are also mostly found along with his idol. Temples of Jalaram Bapa today can be found in almost all big & small towns across India. Outside India, temples are in East Africa, United Kingdom, United States of America and New Zealand.